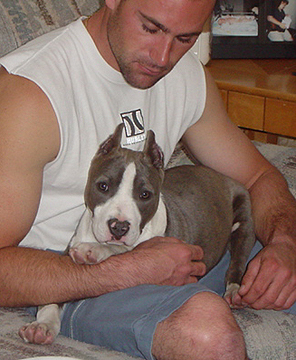 Thank you to Darren for giving her a great home!! 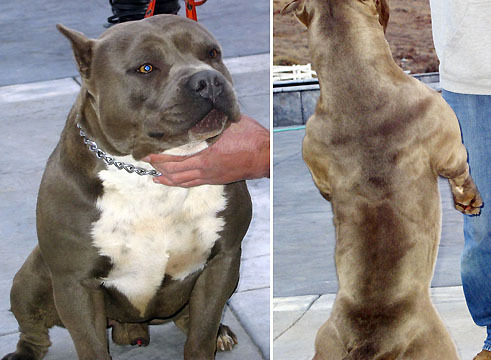 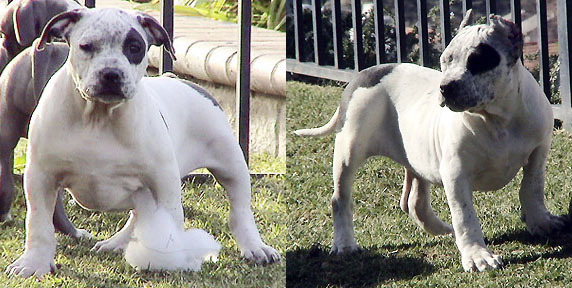 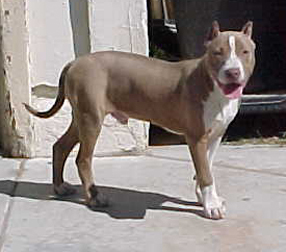 Monster, owned and Loved by the Lombardi family. 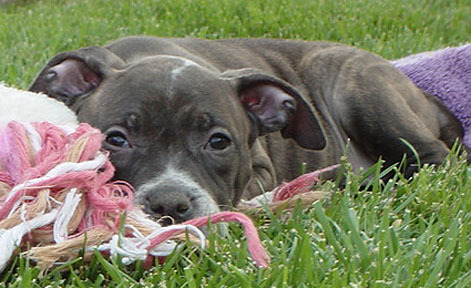 Thanks for the great home. 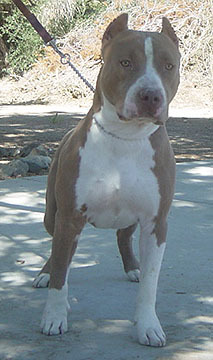 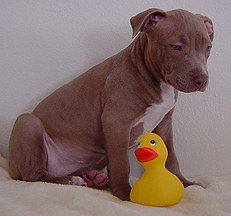 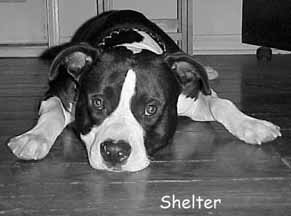 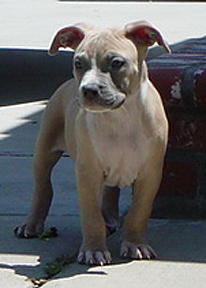 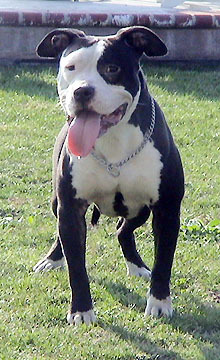 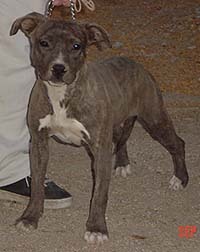 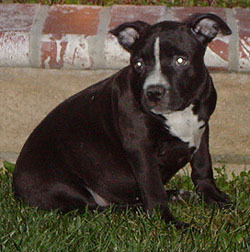 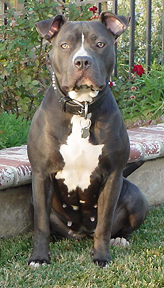 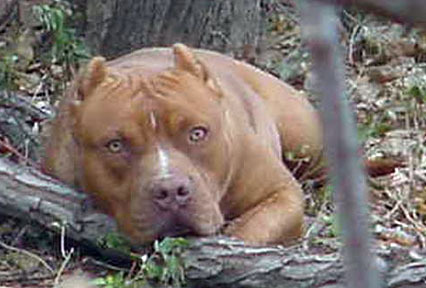 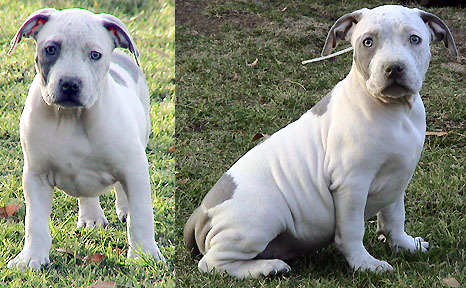 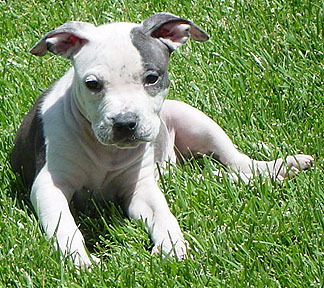 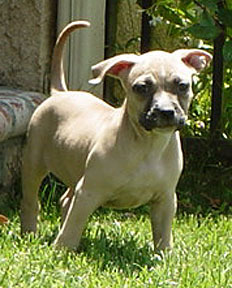 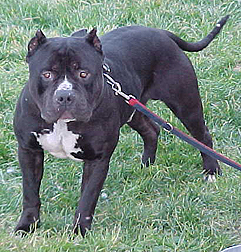 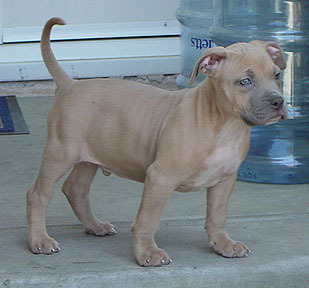 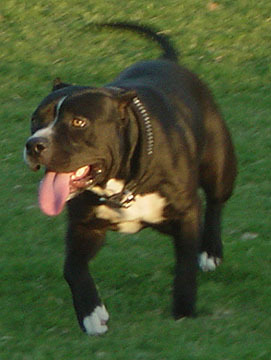 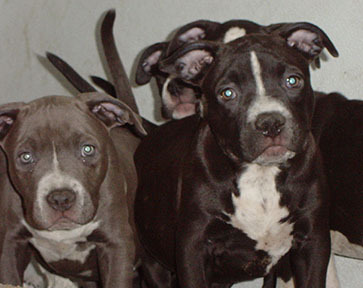 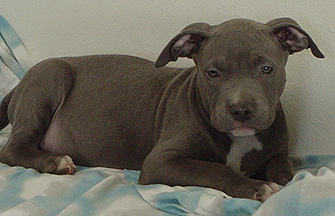 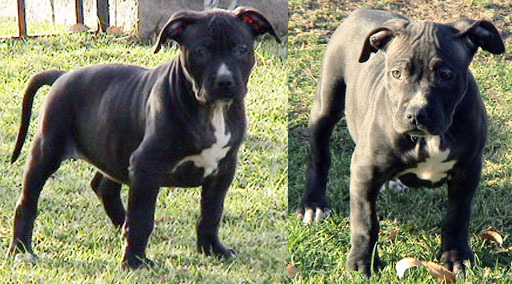 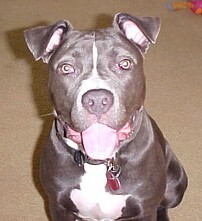 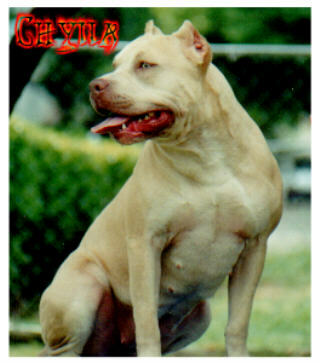 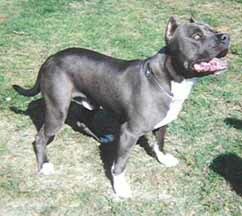 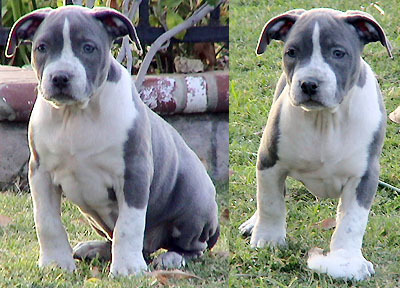 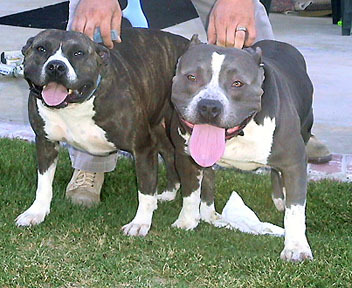 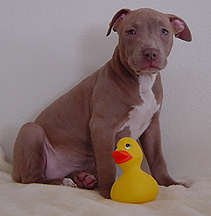 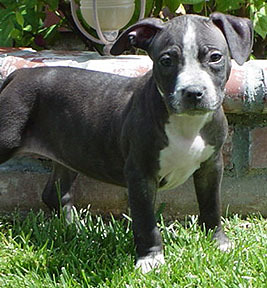 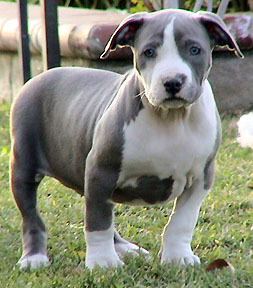 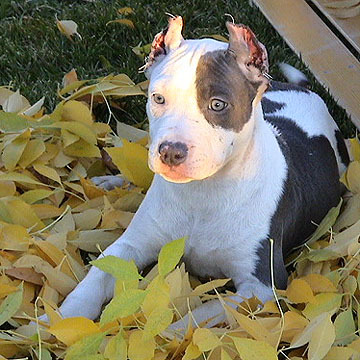 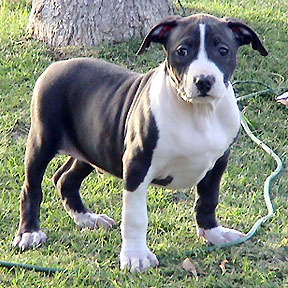 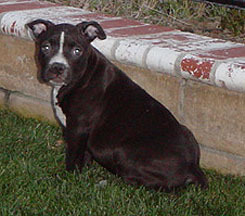 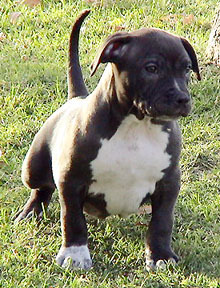 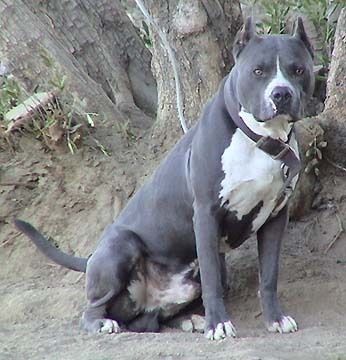 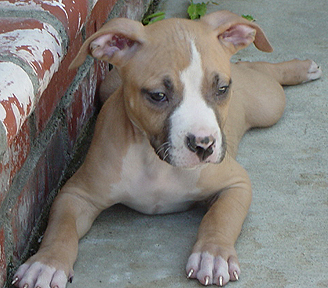 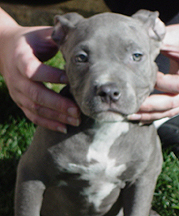 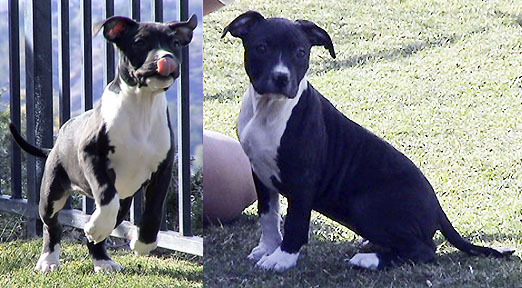 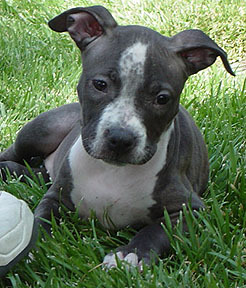 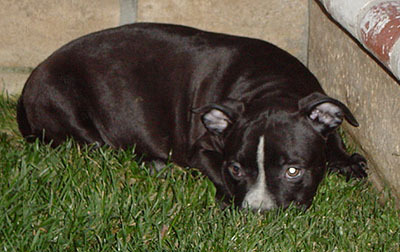 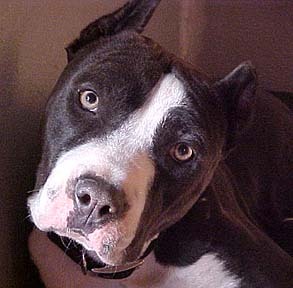 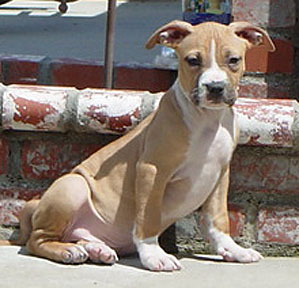 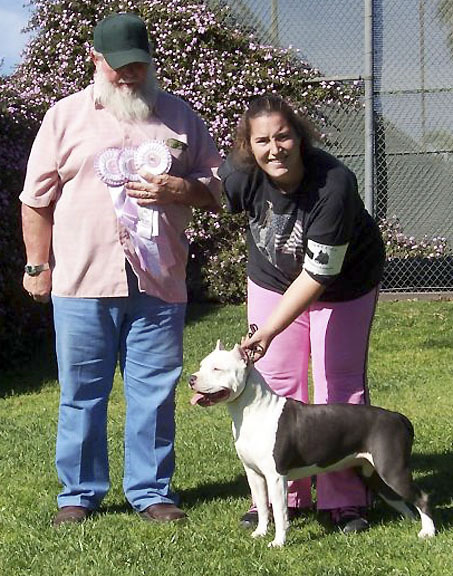 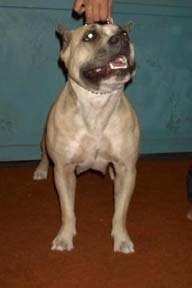 Neche was bred to Do Good's Smokey ~ Puppies born on Halloween 2005! 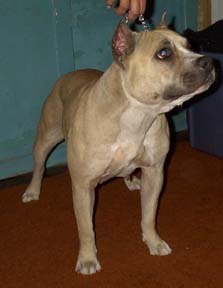 She is owned by Anthony Lombardi. 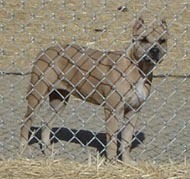 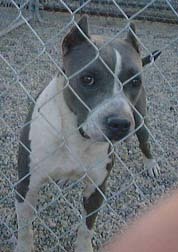 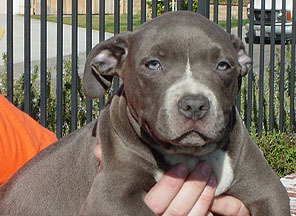 Female out of Big Boi and Blue. 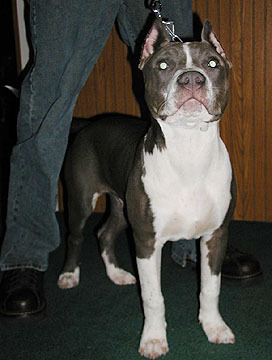 What a head on this girl! 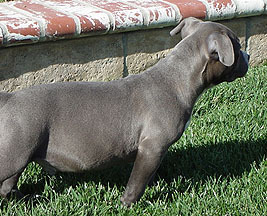 Her sire is Do Goods Big Boi and her dam is Gen X Blue.